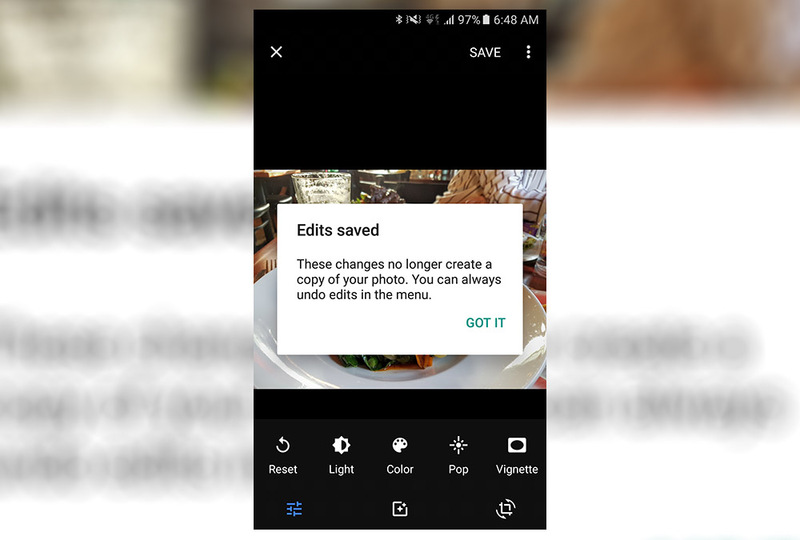 In Google Photos v1.17, which should be available to all this morning, Google has changed the way photo edits work, likely in a move to help save space on your phone. After editing a photo, your phone will no longer default to saving a copy of the photo and will instead replace the original with the changes you have made. Don’t worry, though, as Google is still letting you undo all of the edits and return back to the original if you need to. With this change, phones with little storage or no SD card support will be able to save some space. It also helps clean up photo galleries that may otherwise look like they have duplicates. Overall, it’s a simplification of the editing process. Finally, if you do choose the “Save” route and write over the top of your original photo, you can always tap that menu button and choose “Undo edits” to get it back to that original state.